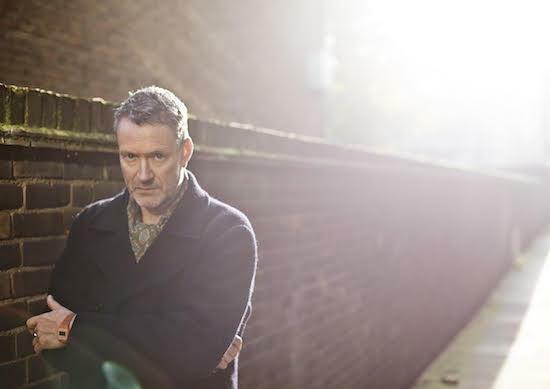 Following on from Blancmange's announcement of a new album, Semi-Detached, at the tail-end of last year, they've now confirmed a one-off show at the Red Gallery in London on May 15. It's set to span early material and their best-known tracks, as well as songs off Semi Detached, which is out on Cherry Red on March 23. Not only that, but support comes from Bernholz, one quarter of Brighton's ace Anti-Ghost Moon Ray collective - get hold of tickets here. Once we heard about the gig, we got in touch with the band's Neil Arthur, currently running operations solo with bandmate Stephen Luscombe unfortunately suffering ongoing health issues, to ask about the record and what we can expect from the gig. Can you tell us about how the new album came together? When did you begin writing and recording the songs? Neil Arthur: Writing started in 2013/2014 in the main with recording and mixing beginning and finishing 2014. A few songs - e.g. 'It Didn't Take Long', 'Deep In The Mine' and 'Bloody Hell Fire' - started life a bit earlier as embryonic ideas that I'd offered up for sacrifice when working on a sometime project. They'd stayed with me for some reason. Then I began to redevelop them, or more like translate them into an electronic-based arrangement. I ended up with quite a number of songs for consideration when it got to sequencing Semi Detached, that's why there's a deluxe edition with these extras. Like 'I Want Your Love', a Chic cover, that was on the album all the way through in my mind, but then my manager said, "Hmmm, two covers on a new Blancmange album?" So, off it came, along with a few others like 'Silk Sea' and 'That Worm'. They in my opinion could have gone on the original but it would have been a bloody long album! 'MKS Lover' was great to record - it's all on one synth, apart from the drum machine! The Roland MKS-80, a Super Jupiter, not to be confused (as I have done before) with the wonderful Jupiter-8, a very different beast. The opener for the new album was influenced by The Fall and the Tube - what threw these two up as inspirations? NA: Well, at first the initial groove/sequence was something me and my keyboard player and collaborator Graham Henderson had worked on. Then I'd got this other song about flotsam, a body on a beach in the moonlight, etc, which I'd worked out on a guitar. Neither were going anywhere and in an idle moment I starting singing the lyrics of the "flotsam" song over the sequence idea and it seemed to work in a way. Then, as you do, the moonlight reminded me of this club in West Hampstead that we used to go to in the late 1970s, early 80s. Anyway, once I'd got this moonlight idea in my head it started a train of thought (not the Tube bit), where I nicked all the ideas from the "flotsam" song and adapted them to suit this new location and time. I saw The Fall plenty of times around the late 70s, early 80s, although I'm not sure if they played the Moonlight. The point is - listening to The Fall was the default setting for many of us. Live At The Witch Trails particularly was ingrained in us at that time. Coincidently, I sent - or did I give? - Mark E Smith our first EP, Irene & Mavis and he wrote back with humorous words of encouragement. I think this prompted us to send a copy to John Peel who only went and played it! I bet Mark wishes he hadn't replied - encouraging a synthpop band, eh? You cover Can's 'I Want More' - why did you choose that song? NA: Can have been a favourite for many years and this song has been in my head for quite a while now. It was one of the first electronic pop songs, something from another generation. Like me now! Images of London feature on the record a couple of times - on 'The Fall' and 'Paddington'. What caused you to reflect on your time spent living there? NA: I lived there for over three decades - something sticks in your mind after that length of time. I've experienced London on many levels and I don't mean up the London Eye and down the Underground. When I come back to town now, I kiss the ground when I get off the train and almost thank people who bump into me. It's wonderful. How did recording without Stephen affect the process? NA: I had to play the keyboards! There was no way he was going to be able to work in the studio let alone tour due to his health. I had to get on with it, was driven to get it done. Done it with Stephen's blessing. I tend to write the basis of a song then take that idea to the next stage in various ways. One would have been to send Stephen the idea or get him round to play it to him and see what he came back with. Obviously that process didn't happen, but having said that there was always an overriding sense to me that this is going to be a Blancmange album. I can't explain! It may be in the contract! Since we got back together in 2010 for the recording of the Blanc Burn album which was released 2011, Blancmange have been on the road several times, promoting Blanc Burn or the reimagined and rerecorded Happy Families Too…, with various honorary members and long time collaborators, namely Adam Fuest (electronics and mixing), David Rhodes (guitar), Pandit Dinesh (indian percussion), Oogoo Maia (synths) and Graham Henderson (synths). Stephen and I haven't been able to work together on a tour or in the studio since 2010. The show goes on. Who knows, Stephen and I may be able to record again, I don't know, but in the meantime Blancmange will continue onward beyond Semi Detached. Coincidently, I saw Stephen the other day and we did end up chatting about a book-writing venture! Dirty Laundry by Irene and Mavis. Finally, what can you tell us about the show you'll be playing at the Red Gallery? 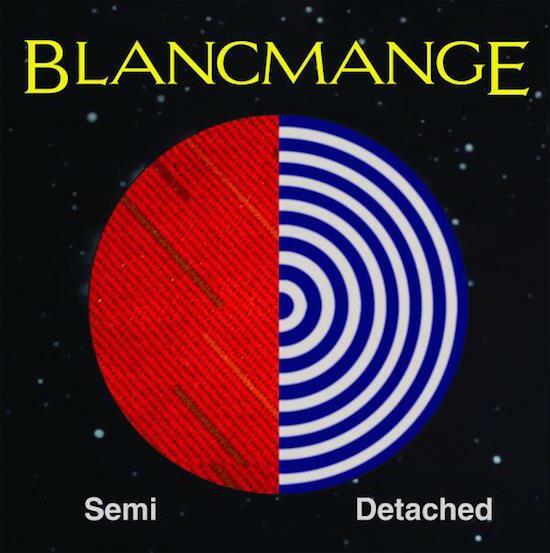 NA: Blancmange want to move very much in a forwardly direction, try something a bit different and in doing so offer the fans a chance to experience another aspect of what the future Blancmange is about. The Red Gallery is the perfect space to put the theory into practice. Weirdly, in looking to the future with more experimentation in this unique gallery setting, it seems also to echo back to Blancmange in those early post-punk pre-pop days - noise/loop/song-making sessions. Turn on the recorder, let's see what happens. Come along and feel the width!